Those rings really do need very high quality render settings. And at 4k resolution, you really need best quality, not to mention the huge number of frames… In case anyone else is wondering, after some careful tests, I found that “Mitchell Sharp” image reconstruction on the Lightwave render gave the best results when animated. 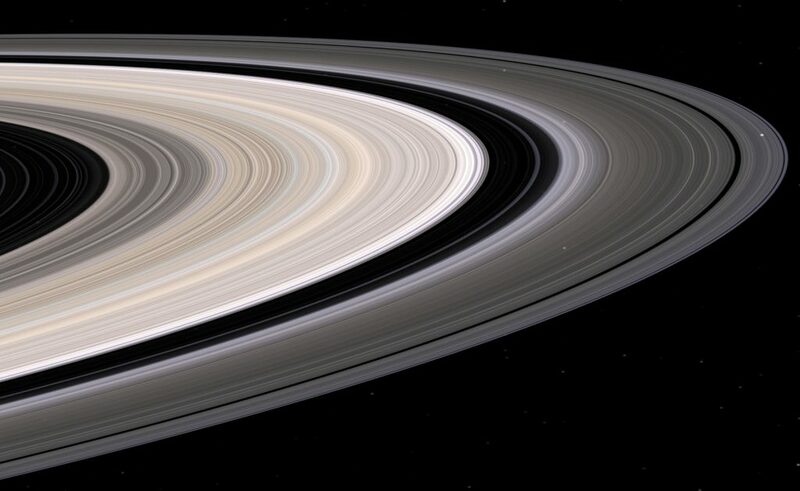 The rings of Saturn from my CGI digital model. Click for high res . 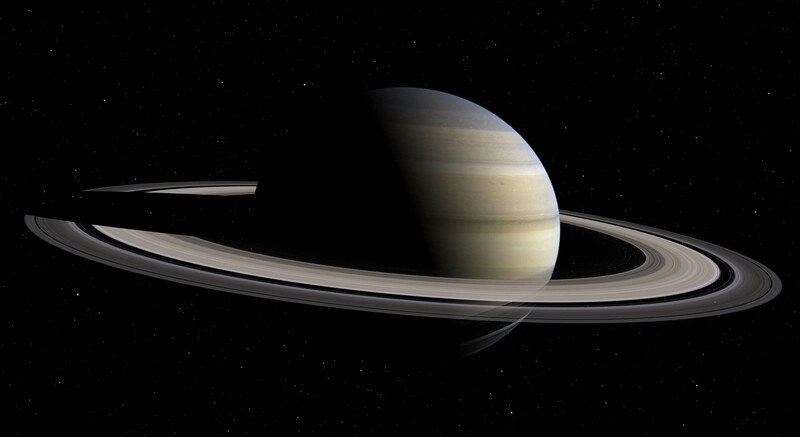 Anyway, the basic idea was that I wanted to use my Saturn model to make a 4k / Ultra High Definition video, bringing out all the details in the rings. The first pass looked wrong from the unlit side of the rings – I was getting messed up by the way Brightness / Transparency and Translucency interacted. And the densest part of the rings were coming out as the most transparent. (Of course), you should watch this full screen, and on a high resolution device! Narrow render of Saturn, almost edge on to the rings.